Jayarava's Raves: Further Problems in Karma Theory: Continuity and Discontinuity. Further Problems in Karma Theory: Continuity and Discontinuity. Emerging from early attempts at systematisation of Buddhism, sectarian Buddhists, especially those who developed Abhidharma, continued to think carefully about the theories they had inherited they discovered more and more problems. In my recent essays I've discussed a number of problems that these Buddhists inherited and some of the different approaches to the problems. The picture that we have of Buddhist history was heavily skewed by the destruction of Buddhism in India with the lost of the larger proportion of Buddhist texts. For example we presume there was a Canon of early writings in Sanskrit and one in Gāndhārī and we have lost the bulk of both of them. This sometimes means that we know only a little about the various sects and what we think we know is often from polemics written by their opponents (who were far from scrupulous in representing each other). One result is that we can mistakenly see historical Buddhism as more homogeneous than it in fact was. 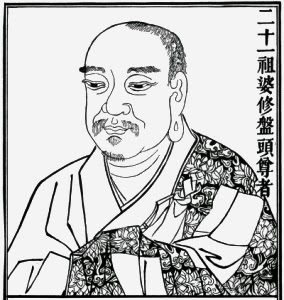 It's common for modern writers on Buddhism to minimise the heterogeneity of early Buddhism and emphasise the commonality rather than the disputes. I'm interested in exploring just how disparate Buddhist sects were from each other. In some cases the disagreements were extreme. The quirks of history can also mean that a text that includes polemic like Vasubandhu's Abhidharmakośabhāṣya can be over-represented in discussions of sectarian Buddhism, or treated as an authoritative account of some long dead sect, simply because it survives in Sanskrit. The Bhāṣya only records one side of a multi-sided argument, and where we do have more than one side, as for some of the disputes recorded in the Theravāda Kathāvatthu, they often disagree on details. However with care we can get some idea of the issues that Buddhists disputed amongst themselves and some of the parameters of these disputes. Chief amongst these issues was karma. I've already shown that early Buddhist karma theory was incoherent, in the sense that it did not work with pratītyasamutpāda: I've characterised this as the problem of Action at a Temporal Distance. This is not simply my conclusion, it was also the conclusion of one of the founding fathers of Mahāyāna Buddhism, Nāgārjuna in his magnum opus, Mūlamadhyamakārikā (see MMK Chp 17). In this essay we will see once again that the preconceived metaphysical commitments that Buddhists bring to the dispute circumscribe how the respond to the challenges. Although some authors make a great deal of the Vinaya convention that a schism or sanghabheda is technically a dispute over interpretation of Vinaya, it's clear that doctrinal disputes also caused divisions amongst Buddhists. Most Buddhist sects agreed that experience consists of a series of mental events (citta) with associated mental concomitants (cetasika). A particular problem is that in the succession of cittas it's hypothetically possible that a kuśala citta might follow akuśala citta or vice versa. One of the important features of karma theory is that results are appropriate to actions. Having good follow directly from evil or vice versa seems on face value to contradict this. Thus it is generally forbidden, axiomatically, for a kuśala citta to follow an akuśala citta and vice versa. Different sects proposed different solutions to this problem. In order to deal with this problem the Theravādins stipulated that two cittas which are different with respect to kuśala/akuśala cannot directly follow each other. As well as kuśala and akuśala the Theravādins acknowledged that some cittas were indeterminate (avyākṛta). These are cittas that are not associated directly with karma (action) but are either a vipāka (a result from a previous karma) or completely independent of karma (kiriya-citta). The latter category includes some mental states in an arahant such as any accompanied by with two or three of arāga, adveṣa or amoha; and functions such as āvajjana or advertence (turning towards) a sense object. So between two cittas which are different (kuśala/akuśala) a bhavaṅgacitta must intervene. Jaini (1959) notes that the Sautrāntikas reject the Theravāda solution because it makes no more sense for a kuśalacitta to be followed by an avyākṛtacitta, because how would an avyākṛtacitta act as a condition for an akuśalacitta? Axiomatically, like must follow like. Indeterminacy is only a fudge, not a solution to this problem. The axiom in fact prevents change, and since we perceive change, the axiom itself must be flawed. And the flaw comes because it is trying to extent continuity beyond the present moment to account for karma. Another problem that concerned later Buddhists is a problem of discontinuity. In the early Buddhist texts there is a state of attainment called 'cessation of mental activity and experience' (sañña-vedayita-nirodha). This state is said, in the Ariyapariyesanā Sutta, to occur after one has master all the jhānas and the arūpāyatanas (sometimes called the arūpajhānas). Not a great deal is said about this state, but if all experience has ceased then it would appear that there is an interruption in the flow of mental events. In the two essays on Action at a Temporal Distance I covered the basic Theravāda and Sarvāstivāda responses to the problem. The former proposed a series of very short lived cittas which acted as conditions for the next, in up to 24 distinct ways (the 24 paccayas). And they filled the gap between sense-based experiences with the bhavaṅgacitta - a kind of resting state mental activity, the object of which is set at the beginning of one's life by the death moment mental activity (cuticitta) in the dying being and the subsequent relinking mental activity (paṭisandhicitta) in the new being. So a definite discontinuity would be impossible in the Theravāda view. The Sarvāstivāda response to Action at a Temporal Distance was to propose that if the present vipāka was conditioned by a karma in the past, then the karma must still exist (in some sense) in the past. And if we expect a present karma to have a vipāka in the future then the present karma must still exist (in some sense) in the future. What 'exists' (asti) means here is uncertain, except that we need the karma to be capable of acting as a condition. Karma here explicitly implies the mental activity that motivates the action (cetanā) and thus is used almost synonymously with citta or dharma. If the dharma exists now, in the past and in the future, then it always exists (sarva-asti) hence the name of this sect is sarva-asti-vāda or 'the doctrine of always existing'. Hence, despite creating two completely distinct metaphysics to explain karma, neither can allow for any kind of discontinuity. A discontinuity in the mental life of the being contradicts the worldview or belief system. And yet on face value sañña-vedayita-nirodha constitutes a discontinuity. And in bridging that conceptual discontinuity, Buddhists seem to be trapped in one or both of two fallacies: they end up creating a continuity with eternalist overtones; or the solution is not internally consistent. In fact there seems to be no way to connect impermanent conditions with effects that manifest long after the conditions have ceased without introducing some incoherence. Either we can have experience arising and passing away in the moment, or we can have actions connected to consequences, but not both. Anacker, Stefan (1972) 'Vasubandhu's Karmasiddhiprakaraṇa and the problem of the highest meditations.' Philosophy East & West. 22(3): 247-258. Jaini, Padmanabh. (1959) 'The Sautrāntika Theory of Bīja.' BSOAS 22(2): 236-249.